Hello and welcome to today's #WednesdayBookClub, io9ers! 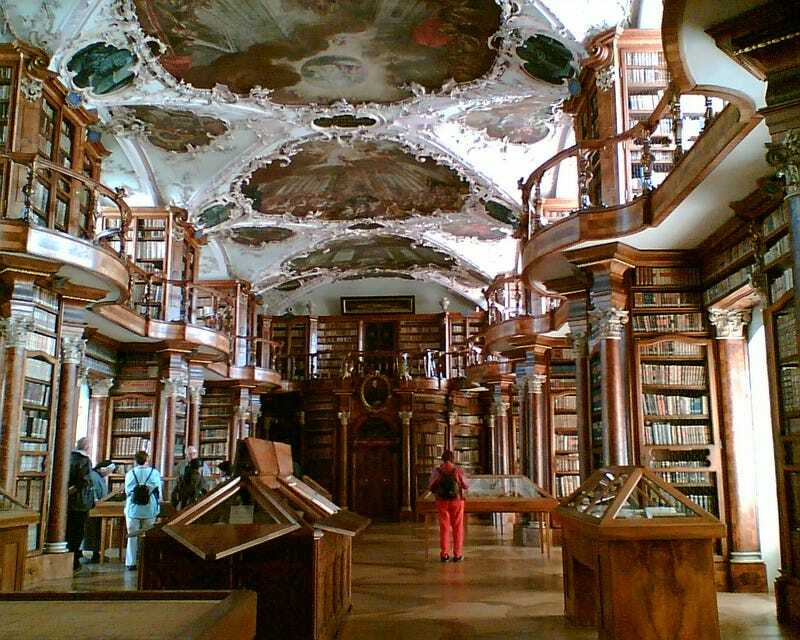 My name is Geesejuggler and today's picture is Abbey Library of St. Gall. Built in Switzerland, it is the oldest library collection in Switzerland and one of the oldest monastic libraries in the world. This past week, I haven't really read this past week but I did break down and bought The Runaway King by Jennifer A. Nielsen, the sequel to The False Prince. I really like The False Prince and I didn't feel like waiting for my library to get this one so I bought it. MudderofCanton (who still needs to fix her account) and I are getting ready for our first craft fair in April (!!) so I have to make all of my stuff for that so if I read anything between and now and then, it'll be from my To-Read stack at my house. I'm really excited and kinda scared about it. Enough about me! What about you all? What have you read this week?